924Board.org :: View topic - '83 931 idles like a dog when cold - It's fixed! 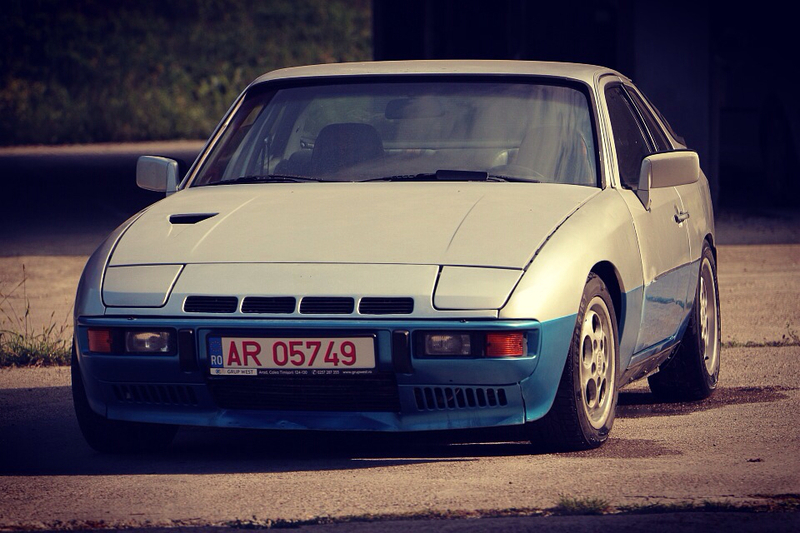 '83 931 idles like a dog when cold - It's fixed! Posted: Thu Sep 08, 2016 12:37 am Post subject: '83 931 idles like a dog when cold - It's fixed! I am trying to fix a cold start and tuning issues with my '83 ROW 931. My car barely fires up when cold, but once it is warmed up drives very well. We are also having issues setting CO. Added to this I am unable to see any timing marks with a strobe. 1. AAV - closed when cold, i think it should be open? Before I start replacing random parts I want to make sure I have no vacuum leaks. I have replaced all the elbows and my next step was the vacuum lines for the WUR and Vacuum Limiter. Where I am getting confused is that my lines do not follow the path I see in PET. Needles to say that PET has lines going nowhere as well. Where PET shows an intricate system with t-junctions between the WUR, Vacuum limiter and intake my car is running two seperate lines. One from the vauum limiter to the throttle body and a second one from the charge tube directly to the WUR. Can someone with a DITC '83 car please have a look for me? Can anyone with a DITC car help me out? The AAV should be full open when cold. You can test how far it opens and closes by removing it from the car, putting it in the freezer for a couple of hours, checking the opening, and then seeing how far it closes when it gets back to room temperature. If it doesn't open very wide when frozen, it at least warrants a thorough flush and clean with carb cleaner. First, you're looking at the wrong PET as if you have an S2 the diagram you postes is from an S1..that has different stuff hanging around. @Morghen: the picture comes from the PET for cars between 81 and 85. The next one 86-88 only covers the 924S. 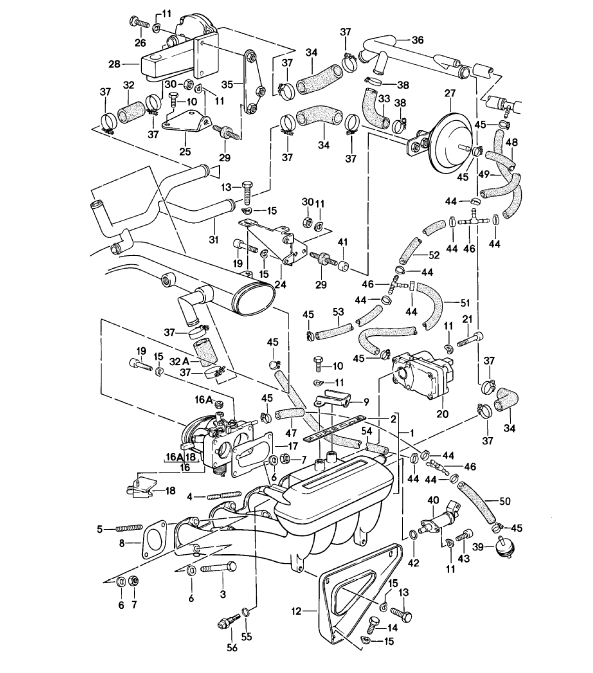 What annoys me is that this is exactly the same diagram as in the 77-80 PET. with the only difference between the two versions being the addition of an extra page showing the different versions of charge tubes. Please be patient with me I have not owned a 924 in 20 years and I am having to re-learn so many things and K-jetronic is doing my head in. Make sure all your CIS components are working to spec and working from fuel tank to injector. Refresh, renew and replace everything that is not performing or is an unknown. CIS works very well when it is all balanced. Just one item can upset the system and cause starting and running issues. Same goes for sparks from coil to plug. Make sure its all 100%. I can get a good deal on a used AAV and WUR but I am wondering of I should just bite the bullet and buy them new? AAV I have no experience on. WUR can be refurbished for circa €200. In UK we have a company called KMI Injection who can make them as good as new, adjustable etc. Can also do fuel metering heads. Fully tested and set up so they are bolt on when returned. Lets not think about the crank sensor yet!! My car finally runs like it should! I think it was the WUR, but since I couldn't test it I cannot say this for sure. Anyway, now I will have my original WUR and AAV reconditioned and have them ready for the day my current units give up the ghost. Next job is figuring out how to set the timing on this car. I have it mechanically set at TDC but cannot figure out if i then still have to further set it with a strobe. ON my 964 the DME will advance and retard as required and from what I can figure out the DITC does the same. But info on this is vary sketchy. Can anyone confirm that setting the distributor to TDC is sufficient? There is no need to set timing on S2 931, it is controlled by DITC. I have no idea why, since nothing has changed since I fixed it. I suspect that the WUR has gone bad though. But I have learnt a lot about this car in the past months, so this time I want to be 100% sure everything is correct and I want to thoroughly diagnose the problem instead of throwing parts at it. The first thing I have learnt is that the fuel pump I installed is not fully up to the task. I bought a Bosch 0 580 464 126 it provides 5 bar and 198 liters per hour. I should have bought Bosch 0 580 254 967. The specs are similar, but the latter is specifically made for Porsche with CIS. Your input is appreciated. The next thing that has always bugged me is the routing of my vacuum lines. I am convinced it is wrong but would really appreciate your input. I have two separate vacuum lines connected to my inlet tract. These lines are not joined to each other in any way. 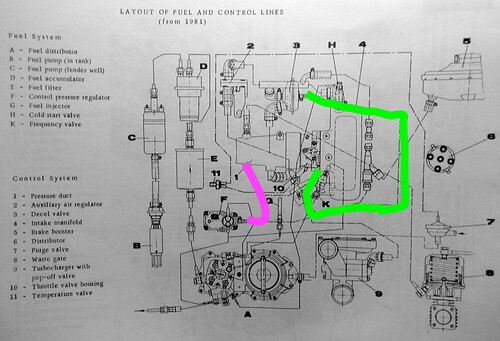 The pink line goes to my WUR and the green line goes to my Decel Valve. 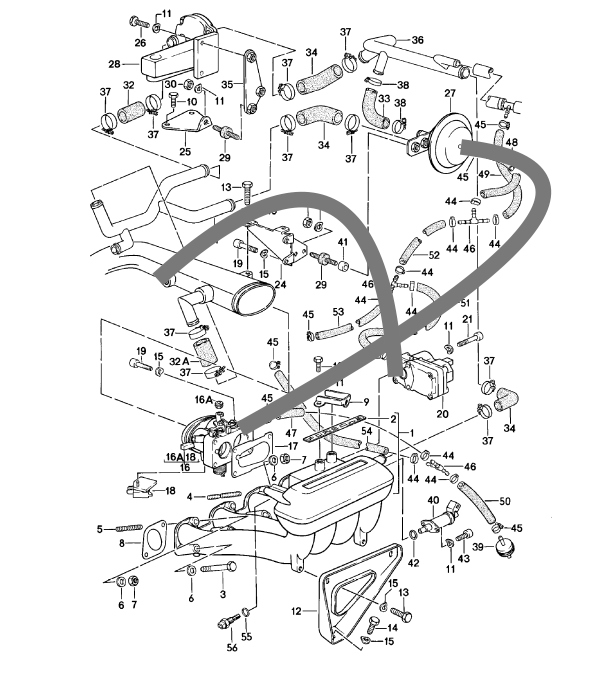 Looking at the vacuum line diagram I found on this board for an 931 S2. I should have one line coming from behind the throttle body spliced into two lines. One going to the WUR and one going to the Decel Valve. 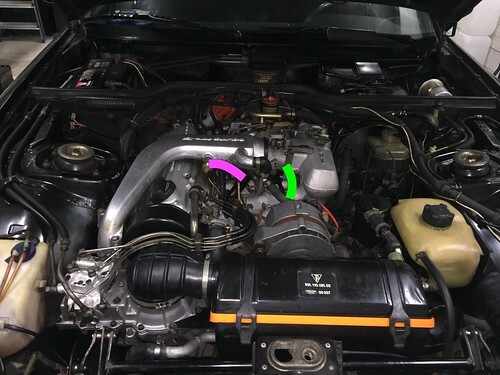 No vacuum line should be connected to the charge tube in front of the throttle body. So is this wrong? Did someone make this mod in the past? And if so, why would they have done this? I have ordered a set to overhaul my fuel distributor, since I think the plunger is lazy/sticky. I have not been able to locate a CIS tester, so I will most likely have remove the WUR, Distributor and AAV to have them tested by a CIS expert. If someone can point me to an affordable tester I would greatly appreciate it since this will save me a lot of effort. I have an '81 S2 with DITC and have experienced rough/low idle and it seems to be when the Frequency valve is either not operating at all or possibly just not operating correctly.At one point I realised that the problem was the wiring to it which I fixed but still occasionally get a rough idle even the the FV is buzzing but it seems to be ok again after a bit of revving.I also once removed the FV for inspection to find it has a filter/strainer at its inlet which I pulled out and cleaned.I think this may have been causing intermittent stoppage of the FV. With yours being a ROTW S2 I'm not sure if it would even have an FV.Mine is North American spec S2. 81 RED 931 S2(daily driver),81 WHITE 931 S2(not currently drivable). Buy/make a CIS pressures tester gauge.. Use it.. Your new WUR could have caught some more crap coming out of your fuel distributor and plugged up.. You can clean it yourself..
Is the Frequency valve also known as the fifth injector/Cold start valve? If so I think this is working because when I start the car it does have a temporary increase to around 1100 before settling at about 700 rpm. Cleaning it is not a bad idea since I have not touched this part yet and it might very well be partially blocked. The symptom is that the motor stumbles along at 700 rpm and I am pretty sure it is not getting enough fuel. When the car is at operating temperature though it idles perfectly at 900 rpm 90% of the time. The other 10% it settles at 700 rpm with sputtering as a result. A quick blip if the throttle normally solves this and then the car will idle perfectly at 900 rpm. This is the reason I suspect a dirty or gummed up fuel distributor. Can someone also please comment on my vacuum line routing and the fuel pump? This kit linked is often suggested..
Bosch CIS Fuel pressure test kit. It will have fittings for pretty much ALL CIS cars and be useful for others..
Or make one myself like I made mine.. But my pics are hit.. The frequency valve and 5th injectore are not the same and only USA cars have a frequency valve..
With a CIS pressure tester, during an injector test, if your system pressure holds up with your injectors spraying at max then your fuel pump is fine, if not then it's not fine..
CIS does run at a higher pressure than EFI so and EFI pump might not do it.. They have special ones for CIS for a reason.. Your vacuum lines, IDK all about an S2 turbo but it looks like it is going to where the overboost switch is supposed to be and I don't think that's right.. But, the vacuum line to your WUR just enriches on boost, so I think unless you are in boost then the pressure line for it does basically nothing and will not cause your idle problem.. I think..